Wizards Update: Is Wall A Top 5 PG? Fifth year center Kevin Seraphin has consistently gotten playing time as Washington’s backup center. I’ve written many times about why this is a bad idea, but it hasn’t cost the team much. Yet. There still seems to be a sentiment that Seraphin has improved, but…well…let’s look at the numbers. For three straight games in December, it looked like maybe Seraphin had suddenly deciphered the league, but he followed it up with four not-so-good performances. Okay, that was generous. Two of those games were horrific, and one was downright awful. For those keeping score at home, Seraphin has played 23 games this season. He’s been an average or better producer in five of those contests — 22%. He’s been replacement level or worse in 14 of 23 — 61%. He’s been a net negative (bad plays have outweighed the good) 12 of 23 — 52%. He has been better in December with two very good games and one great one. But, in the nine games so far this month, there are still four that rate below replacement level (two of which were net negatives), and a fifth that was just barely above replacement level (the most recent). Net for the month, a PPA of 70 in which 94% of his production came in just three games. When I look at his total credits, 84% of his season production has been in December — 79% in that single three-game stretch. So far this season, 56 players identified as centers by Basketball-Reference have played at least 150 minutes. Of those players, Seraphin ranks is tied for 51st in total production credits. In PPA (the per possession stat I usually publish), he’s third from the bottom. Only Kendrick Perkins and Jason Smith have been less productive per minute. As I mentioned earlier, the Wizards schedule has been easy enough, and the starters have been good enough, that they haven’t been hurt much by giving Seraphin a steady diet of minutes. 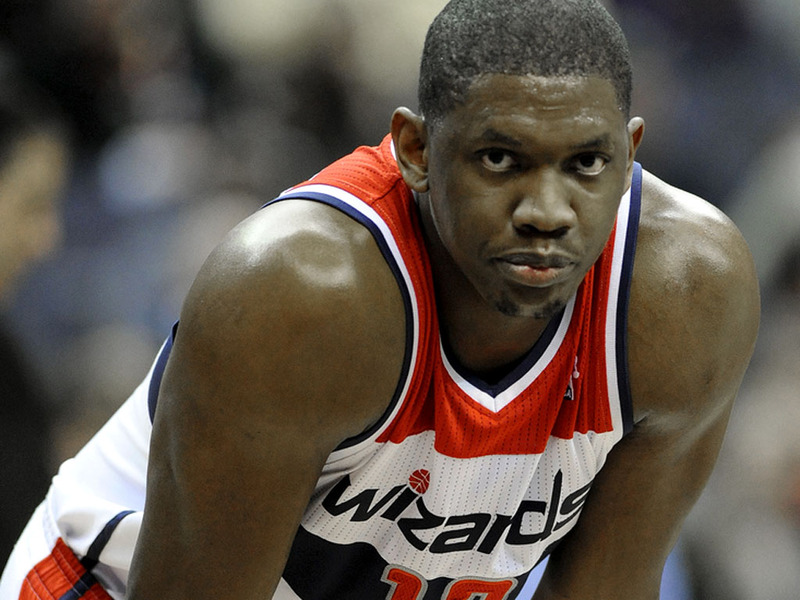 But, when competition gets tougher, the Seraphin problem will arise. For now, it’s probably okay to continue playing him in the hopes that whatever fell into place December 5-8 will fall again and that Seraphin will become a solid reserve. Barring that unlikely event, the time is coming when the experiment will need to end. To that end, the Wizards might be wise to find minutes for DeJuan Blair, and to plan for the time when their PF/C rotation will be Marcin Gortat, Nenê, Kris Humphries and Paul Pierce.